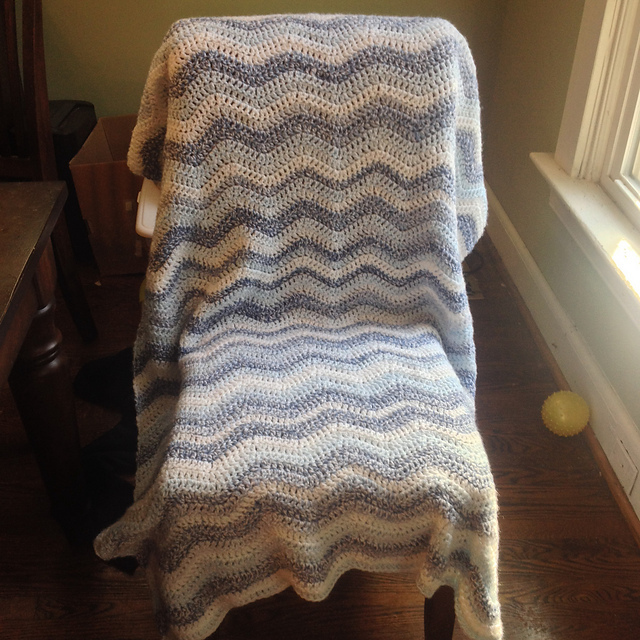 I have had my eye on the Neat Ripple Blanket by Lucy at Attic 24 for some time now. I always have a lot of projects going, though, so I was putting it off until I had a few things finished. Last month, I was making good progress on my Christmas projects, and I decided this would be the perfect pattern for a blanket for one of my giftees. It is so much fun to do, too! I would pick this up in the evening, thinking I would just do a few rows, and find myself unable to stop stitching. It came together really quickly, too–I finished it in under 4 weeks, even though I was working on other projects at the same time (I simply cannot work on only one project at a time!). I am particularly pleased at how squared off the folded blanket is–I am not always that consistent with my stitches. 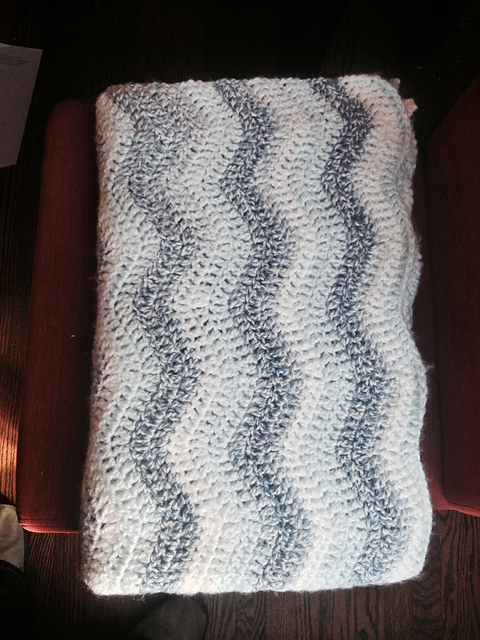 I often start out a bit too loose, and the first few rows are a bit wider than the rest of the blanket. I knew I could improve, though, because the rest of my blankets are usually fairly consistent after those first few loose rows. I guess all the blankets I have been making lately are actually paying off in increased skill, :).